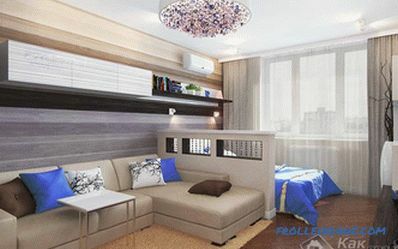 Not everyone can boast of having spacious and free housing in three rooms or more, where each family member will have his own personal place and space. Many young families begin their life journey in a one- or two-room apartment. 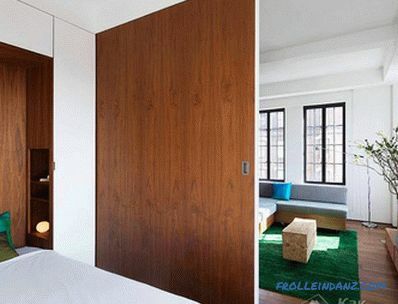 Small apartments need a good layout so that a single room can simultaneously perform several functions. Most often this is a living-bedroom. 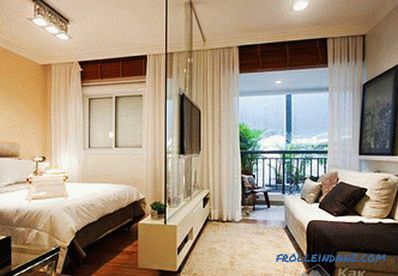 This article will discuss common ways how to zone a room into a bedroom and living room. Each person has a rather difficult task: connect public space with individual space. 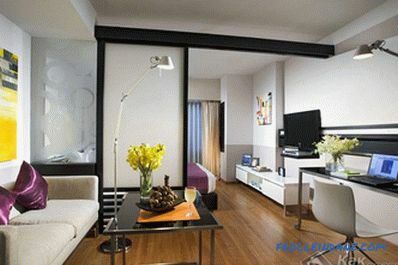 In fact, there are many different ways to combine a bedroom and a living room in one, even a small room. 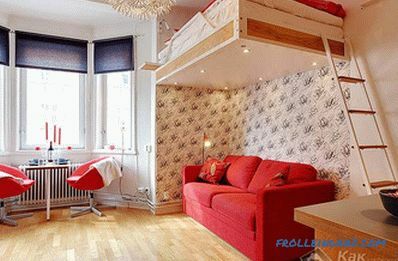 If we talk about the modern room, then we should mention the studio apartment, in which the total space is divided into several zones at once, which is more difficult. With a clear planning and accurate work execution, you can achieve the desired result - creating a comfortable and functional environment. In such a room, it will be possible at any time to receive guests or hold meetings with friends and at the same time fully relax from a hard day’s work. It is important to conduct zoning correctly, that is, the room should be clearly divided, while maintaining some common stylistic solutions used. the living room was closer to the exit, and the artificial light was used to the maximum. When designing a zoning, the shape of the room, the number of window and door openings are taken into account. So, the rectangular room will be easier to divide than the square. To this type of partitions include sliding doors and structures made of glass blocks and plasterboard, as well as podiums and arches. Installation of drywall will be a good option only if there are several windows in the room on two walls. Due to this natural light will fall into each zone. In order to resolve this issue, experts recommend supplementing the design with mirror or glass inserts, which will give lightness to the interior and will not block the path of the sun's rays into the interior of the room. Such structures are called false partitions: they perform the function of zoning and do not separate zones from each other. 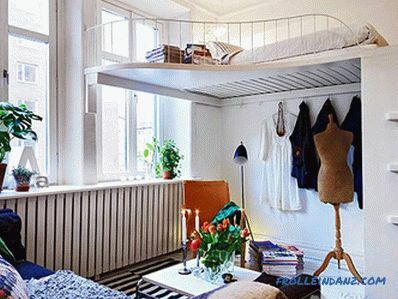 Most often they are used in the style of a loft. 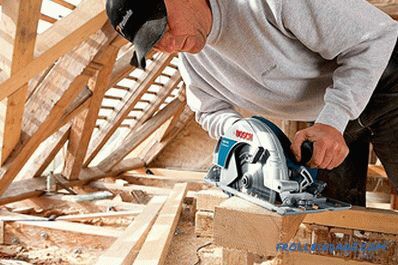 A significant disadvantage of the method is that if you want to make a change in the layout of the room, it will be quite difficult to implement. 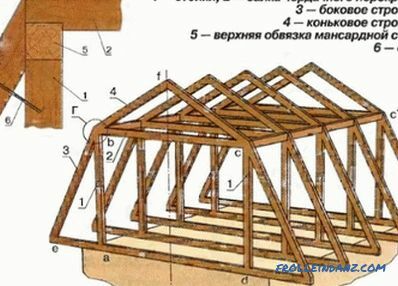 You can create a similar partition with your own hands using instructions and recommendations. If necessary, you can remove the separator, fold the screen and hide it in the closet. The easiest and most common way to quickly divide a room with a small budget. 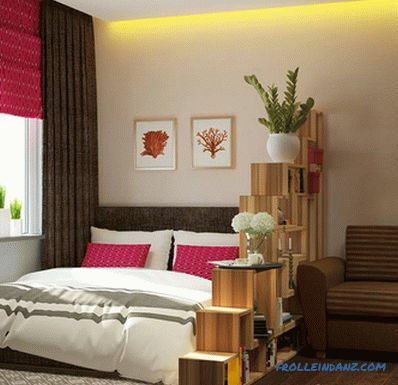 Curtains or curtains can be made from a variety of materials, ranging from dense to light - translucent. In addition, it will be interesting to look at the combined options, for example, weightless organza and heavy atlas. 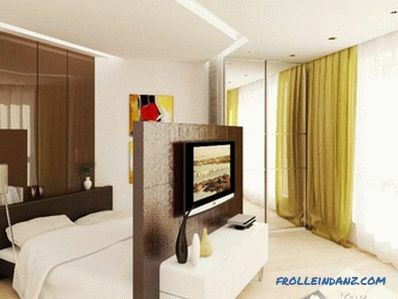 Such curtains will not fit in every interior, so it is important to think over everything to the smallest detail. Original looks curtains, which are located at different levels. There are many options. For example, manufacturers easily connected an ottoman and a coffee table, which is transformed with a flick of the wrist. 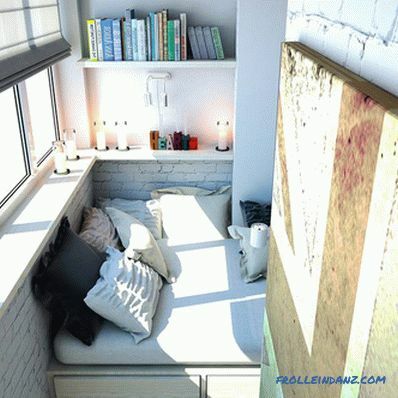 If you fill a room with just such furniture, then at night it will be easy to turn into a place to rest, and during the day - into a cozy living room. Remember that no sofa can replace a full bed with a high-quality orthopedic mattress that will give you good rest and healthy sleep. Even a slight elevation 10-20 cm will allow you to visually divide the room. 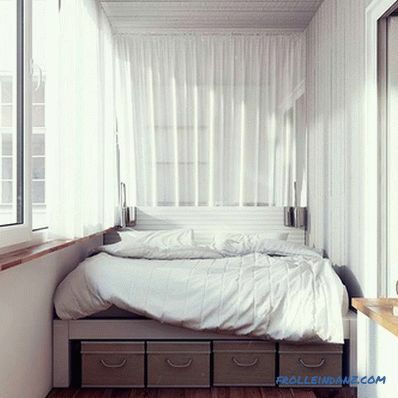 Addition to the podium for the bed will serve as a false partition or canopy. The design of the podium needs to be properly planned, for example, to provide inside the boxes in which various things and clothes will be stored. 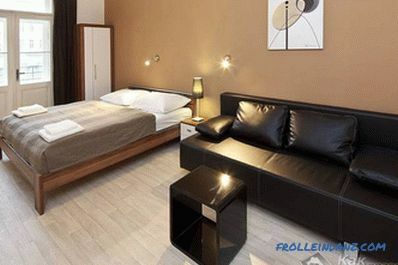 The mattress of the bed can be put directly on the podium without using a frame, which will reduce the bulkiness and occupancy of the room. 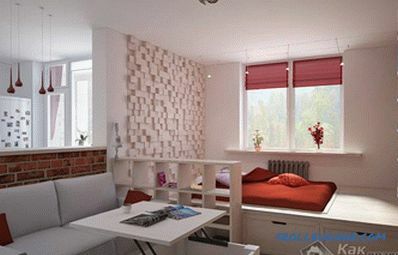 increase the useful area of ​​the room. 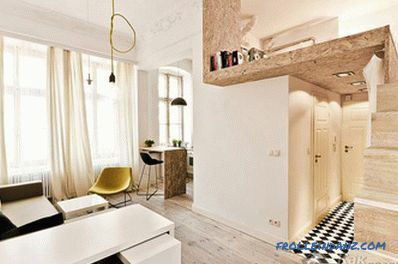 In the presence of low ceilings, there is also a similar solution, which was invented by designers and designers. We are talking about a bed that is raised to the ceiling in the afternoon, and lowered down in the evening using an automatic mode. Under the bed during the daytime may be located working area. There is a significant drawback - the high cost. Most apartments have a balcony or loggia that can also be used rationally, for example, to equip a cozy and small bedroom in it. 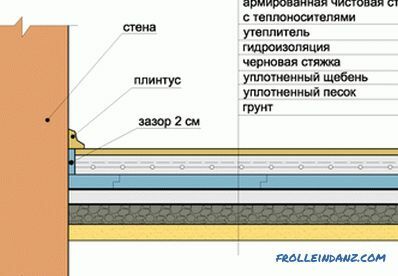 This distribution will allow you to organize almost two different rooms, which will be separated by a stationary wall. But for the implementation of this project will need to carry out insulation and glazing, which would entail additional costs. It is very important to obtain approval from the relevant authorities in order not to have further problems. You can divide the room into several zones and in other ways, for example, using colors and textures properly in the finish. This approach will be interesting to look both independently and in combination with the methods listed above. 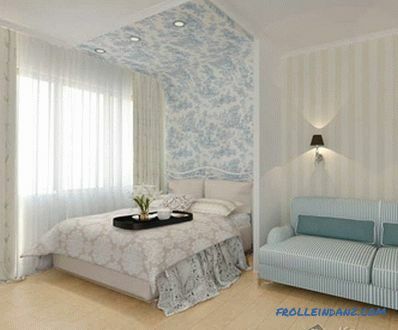 The whole idea is a fairly simple solution: different decoration of the living room and bedroom areas. Despite its simplicity, it will be very difficult to achieve both separation and combination, that is, harmony. 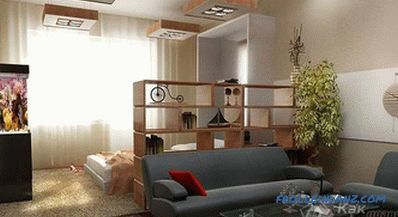 To avoid cluttering the room, you need to turn on only the necessary pieces of furniture or use transformers. To summarize, we can say that planning the design of the living room combined with the bedroom should be carefully considered and studied all the options. Everything will depend on such criteria as the total area, the linear dimensions of the room, the height of the ceilings, the presence of a balcony or loggia, as well as your own preferences. 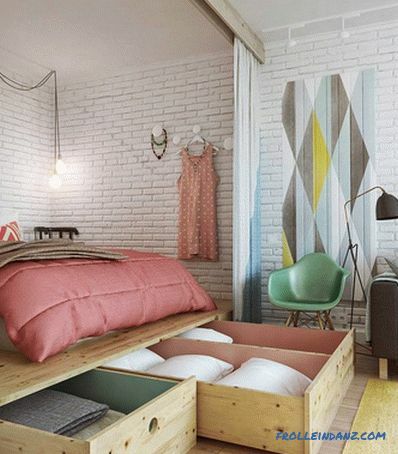 The main thing to remember is to create an interesting and multifunctional interior for each person. 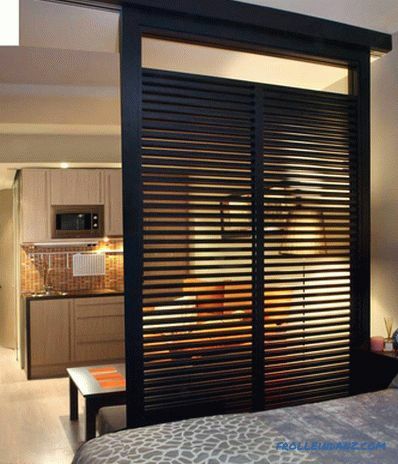 Even a minimal separation of the room will improve your rest, as well as relieve unnecessary quarrels with loved ones.